What’s Halloween without some spooky treats with your family and friends? Crack our Spooky Dome’s chocolate shell to reveal a surprise underneath or give your family and friends some of our irresistible Halloween cupcakes. Have a Spooktacular time this Halloween! For further information, visit The Icing Room Facebook. Dine in at Capricciosa. 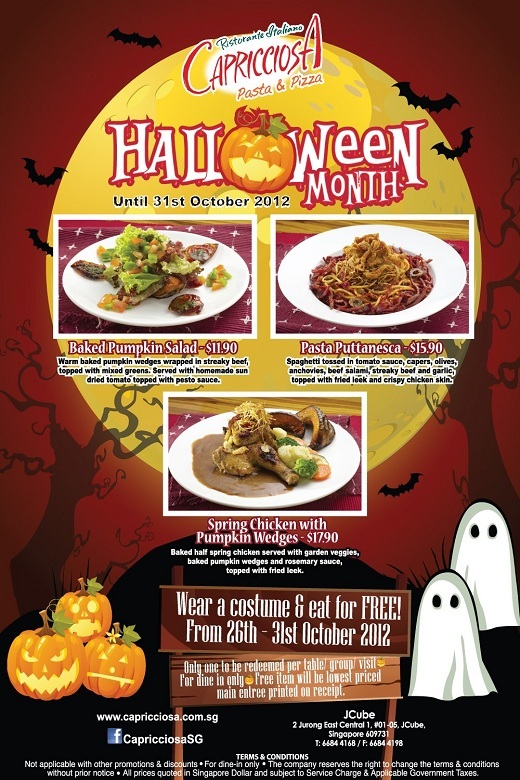 Wear a costume and eat for free! For further information, visit Capricciosa Facebook. 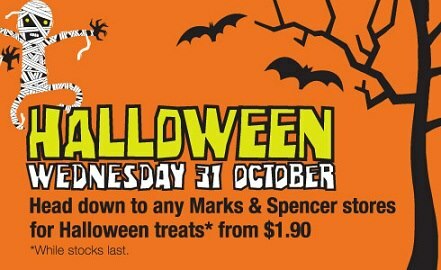 Get ready for a ‘spooktacular’ Halloween with Halloween Treats from Marks & Spencer. Now available in stores from $1.90. While stocks last. For further information, visit Marks & Spencer Facebook. Get $30 SCAPE Vouchers ! FREE 2012 Museum of Horrors 3 Ticket ! Just spend $50 and present your 2012 Museum of Horrors 3 ticket to receive a zombie survival kit. First 100 shoppers to spend $80 will receive one free ticket to Museum of Horrors 3. 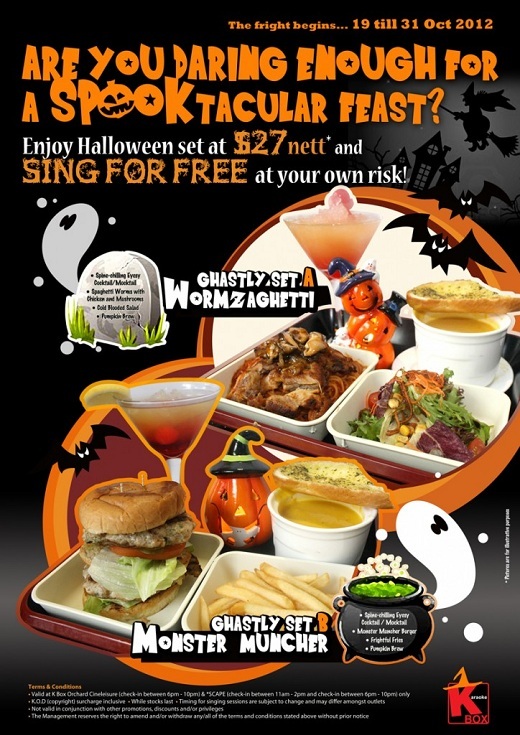 Halloween set at $27 nett and sing for free at your own risk. 2 sets of STAGE Transformers tee at $90. Half chopped off (50% discount) selected Halloween coloured watches. Spend $50 at SCAPE to get a free game and stand a chance to win Halloween Disney Plush toys. 1. Free Museum of Horrors III tickets, SCAPE retail vouchers, zombie survival kits and tenant offers while stocks last. 2. To receive $30 SCAPE retail vouchers, maximum 2 same day receipts totaling $50 required. 3. To receive zombie survival kit, maximum of 2 same day receipts totaling $50 and a Museum of Horrors ticket required. 4. To receive free Museum of Horrors ticket, maximum 3 same day receipts totaling $80 required. 5. To receive free game at Prize Stage, maximum 2 same day receipts totaling $50 required. To be redeemed at Prize Stage. 6. Receipts from SCAPE Underground are valid for this promotion. 7. All promotions until 31 October 2012. For further information, visit SCAPE website. Have you purchase tickets for Sentosa Spooktacular 2012 ? If not you might consider the following Visa Exclusive Groupon Deal. – Choice of 1 out of 4 Pleasures: Hot Dog Set, Sky Cooler, Photo or Beer. – Night Luge and Sky Ride. Get It Fast! This deal is ending on 21 Oct 2012 (Sunday) 7am in the morning. 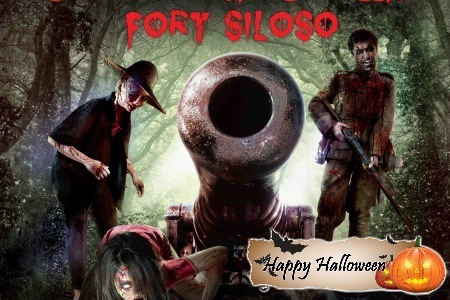 For further information, please visit Sentosa Spooktacular 2012 Groupon Deal. Do you need some Halloween props? 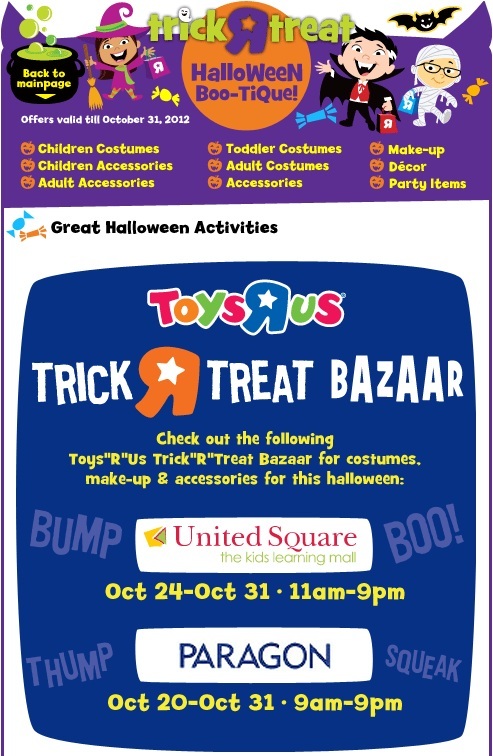 Check out Toy’R’Us Trick Or Treat Bazaar. Check out the following 2 outlets for Halloween costumes, make-up and accessories. For further information, visit Toy’R’Us website. 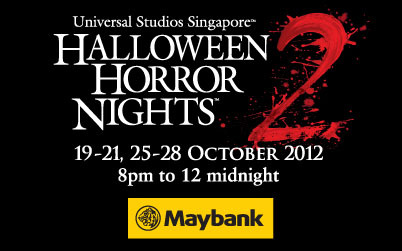 From now till 28 Oct 2012, enjoy exclusive privileges at Halloween Horror Nights 2 with your Maybank Credit/Debit Card. Experience fear at a whole new level. Come play in five scare zones and 3 haunted houses as you venture into The Puppet Master’s demented world. For further information, visit Maybank website. Do you want to buy Halloween Costumes or anything for this coming Halloween from overseas? vPOST is offering shipping discount from 9 Oct to 31 Oct 2012. 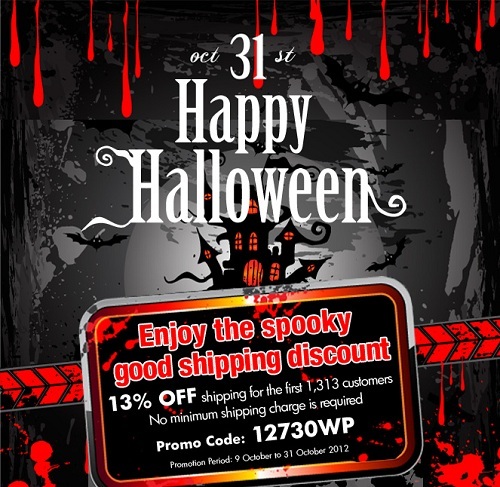 13% Shipping Discount for first 1,313 customers. For further information, visit vPOST Singapore website. Singapore Flyer is celebrating the breaking of 300k facebook fans. 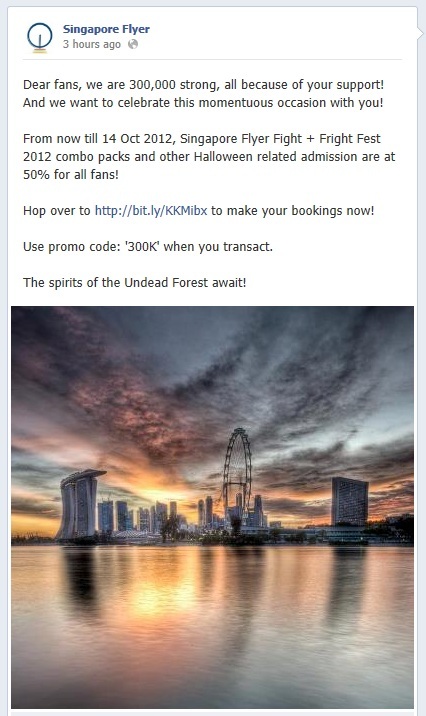 From now till 14 Oct 2012, Singapore Flyer Flight + Fright Fest 2012 combo packs and other Halloween related admission are at 50% discount for all fans! Make your booking now !